Robert Venditti – Writer, Graphic Novels, Comics, and more. 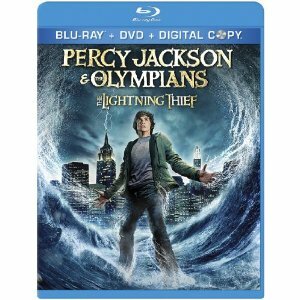 » Blog Archive » The Lightning Thief DVD in Stores! Percy Jackson and the Olympians: The Lighting Thief is available on DVD and Blu-Ray this week. I had nothing to do with the movie or the novel it’s based on, of course, but one of the bonuses that comes with purchase of the DVD is a code to access an online preview of the graphic novel adaptation written by yours truly. It shows the cover image, plus a six-page scene where Percy battles the Minotaur, though the pages are separated into panels and animated motion-comics style. Also, for anyone who’ll be attending Comic-Con International in San Diego later this month, the Hyperion booth will be handing out a limited-edition poster showing more interior art from the graphic novel. The wife and I saw the DVD yesterday at Tergit. I thought of you, and explained why to Angela. We are both very proud of you buddy! Besides gettin’ paid, any other perks to working on this project? Are you a fan of the material? Wow, that’s awesome man… Hopefully my writing career is sooner than it seems to be.